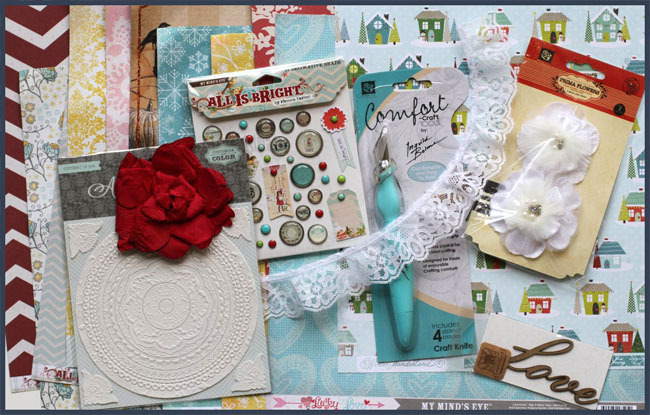 Erin Blegen: My Scrap Cabin: C'est Magnifique: November Sketch Challenge & More~! C'est Magnifique: November Sketch Challenge & More~! Good afternoon! 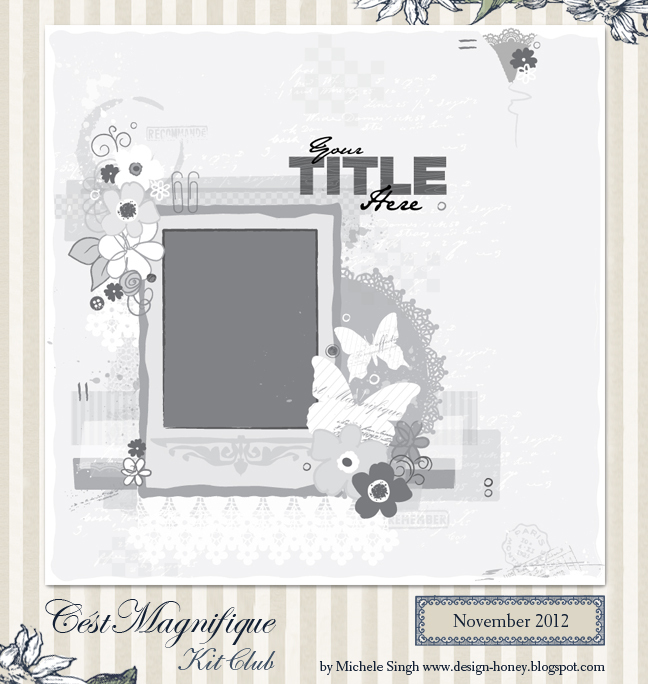 It's time to share with you the November sketch for C'est Magnifique, the amazing prize(s) to be won, and my final two layouts using the beautiful November Kit which features the amazing "Domestic Goddess" collection from 7 Dots Studio! 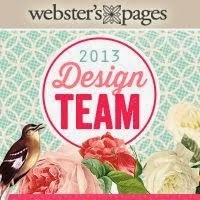 We have a brand new sketch designer for C'est Magnifique! Her name is Michele Singh and she is a very talented lady~ just take a look at this month's sketch which she designed especially for us! Beautiful and versatile, just the way I like it!! So how do you play along? Well, read on! But, since we are a kit club, there is an added incentive to use one of our kits to create your sketch layout (which I will explain below). Deadline for entering the sketch challenge is midnight, November 30 (US time). Have fun! We can't wait to see how you use or November sketch. Finally, here's a peek at my final two layouts for this month! My little guy is just go-go-go ALL the time, as you can clearly see from this photo. I just loved the energy and color in this picture and so I paired it with the perfectly coordinating colors in the beautiful November kit. I played with my background paper a bit by using a flourish mask and some bronze glimmer mist by both using the mask as it's meant to be used and also as a stamp. 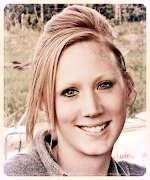 My sister Kelly is my very best friend! 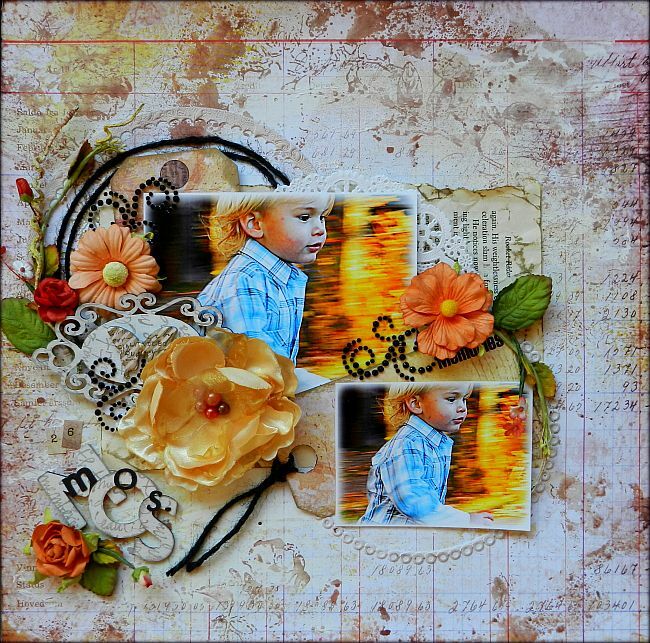 I thought the fun 7 Dots Studio Collages were perfect for accenting this layout ! Have a great day and I'll be back VERY soon~!! Love that black twine on your first layout Erin and the photos are really great!! 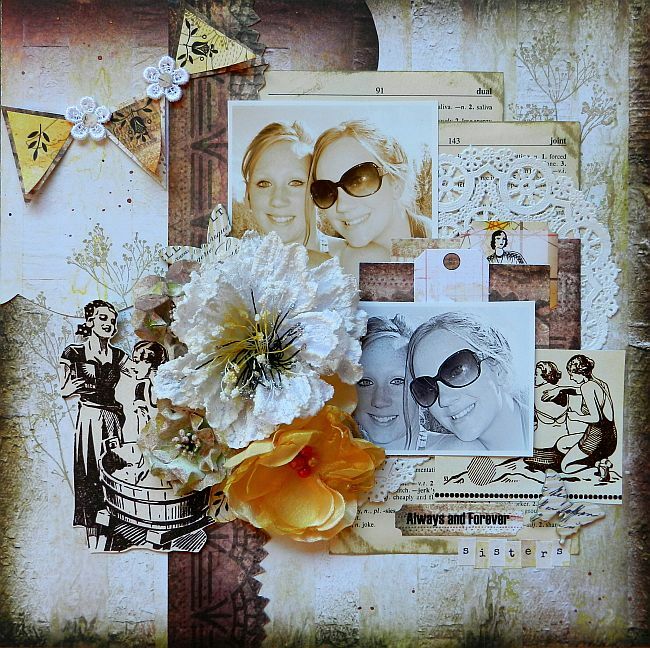 Love the layers on your second one and the vintage images!! I love your take on the C'est sketch & the stunning colours you've used. Dine LOer er så fantasifulde, fulde af overraskelser, jeg nyder at give mig god tid til at studere alle enkeltheder, jeg glæder mig til at hvad du finder på næste gang. knus morkaren. Both of the LO are just gorgeous. Your work is always so beautiful! Fabulous layouts, Erin! Love them both! Awww love both of these so much!! That action photo of little Gunners is really neat! !